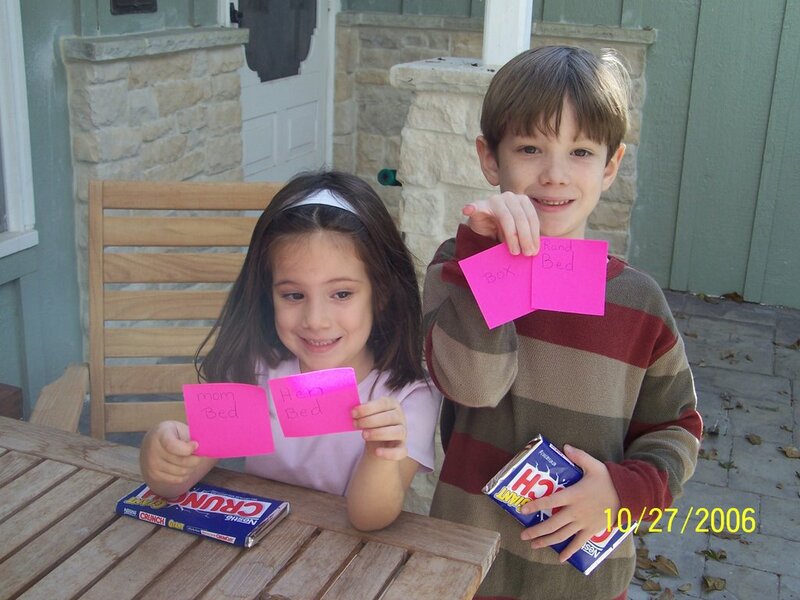 A home-made treasure hunt- a few weeks ago we did this fun activity as part of our school-day. I made up two sets of clues, one set for Demi(6) and Amie (4) as a team. The other set for Meg (11) and Josie (9) as a team. 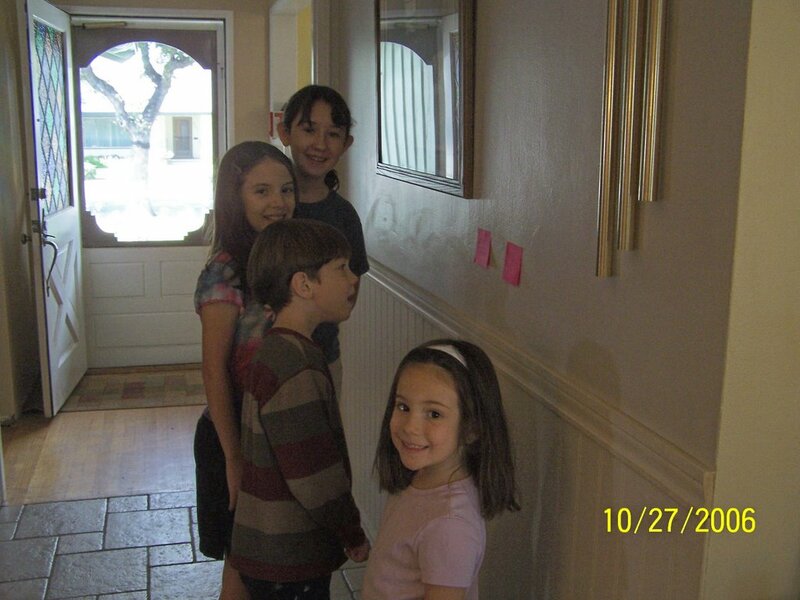 We began the hunt at the dining room wall with the first clue. 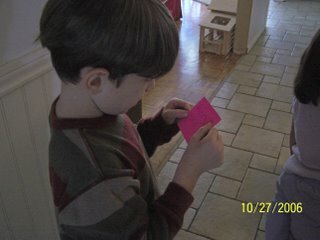 This activity was aimed at Demi's learning needs: he is learning to read and is reading short-vowel beginning words. Demi's first clue to read was "hen bed". This took their hunt out to the chicken coop. The older girls' clue was this..."I have fruit in the fall and many juicy seeds. Look for the next clue in this tree". This lead to the pomegranite tree in our backyard. Demi's hunt eventually led him to "moms bed" where he found a box with the prize. For each child a huge nestle crunch bar. -they were on sale for $1 each, and I thought it would be a fun activity. They really had a good time, and Demi was so proud to be able to read and follow his clues. We don't do activities like this every day, but it is very worth the little time in thought and planning to add some spice into the normal home routine, and to give a little inspiration to a budding reader.